I’ve reached a point in life where I no longer have the desire to argue or debate beliefs with anyone. I still enjoy discussions, but not everyone is capable of that so I’m hesitant to go there. I enjoy the fellowship of a wide variety of people from all backgrounds and have found friendship to be way more valuable than being in total agreement on matters. Here’s the ironic thing: I see people who don’t even like each other, who stick together because they share the same political or religious views. Even crazier is that I also see people who would make great friends if they didn’t despise each other because of religion or politics. In other words, everything affects everything. If you take a pebble and toss it into a calm pond, it makes ripples. If you toss a bucketful of pebbles into the same calm pond they will all make ripples that gently run into other ripples. That’s us living on this earth together. Some folks choose to make a splash that disrupts the natural flow of energy and ideas, their side is 100% right and the other side is wrong. It’s “us against them.” If you find yourself in that position, you are in the wrong, even if you are right. It’s okay to share beliefs but never okay to try to sell them. Live your beliefs and let others see the good in you. Also, let other people live their lives and be sure to look for the good in them. One last thought about politics and religion. Neither is worth fighting over and neither is worth making enemies. The politics that upset you today will be gone and replaced by different politics that will also upset you tomorrow. As for religion, anyone with spiritual depth will continue to evolve, so where you are now, isn’t where you will be in a couple of years. 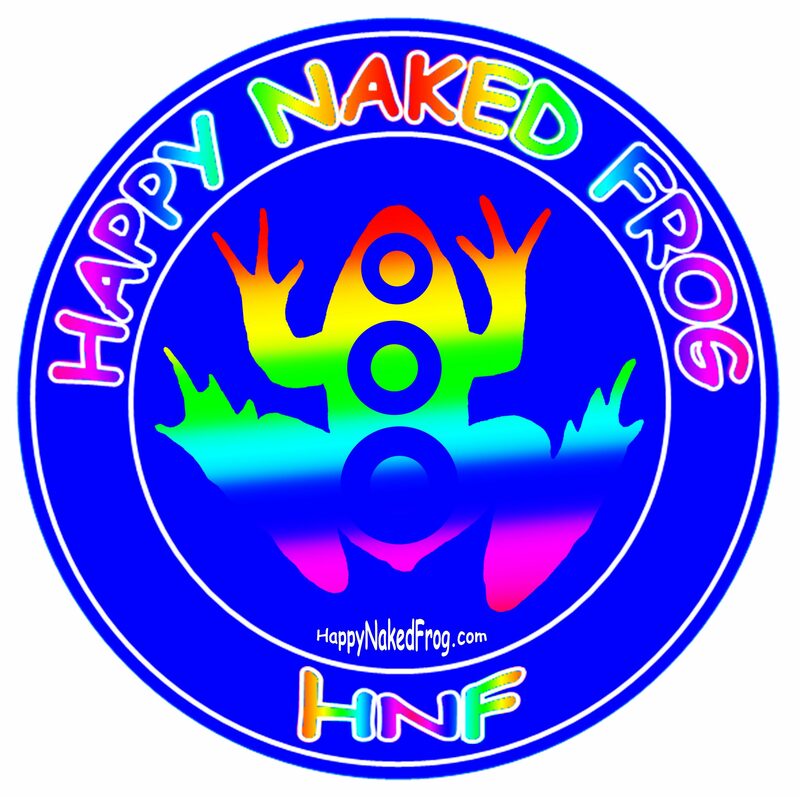 Happy Naked Frog – Making the best of life.